At Atlantic Shopping, we’re proud to say that all of our chairs and bar stools are fire retardant and comply with the British Standard Furniture and Furnishings Fire Safety Regulations. We are committed to providing you and your family with the best possible products, making everything with meticulous care and effort in our factories so that you will receive the very best goods. Our customers’ safety is important to us, and our flame retardant certificates are included to guarantee you peace of mind. "We have tested all of the foams, fillings and composites that we use to ensure that they comply with the relevant ignitability tests. Plus, we have made sure that all of our covers and fillings are both cigarette and match resistant." What do the Fire Safety Labels Mean? The Furniture and Furnishings Fire Safety Regulation states that all new items of furniture should include a permanent fire safety label. You’ll find both a temporary and a permanent label on every piece of furniture that you buy from Atlantic Shopping, pictured below. These are your guarantee that each of our products has been thoroughly tested to ensure that it is safe to use in your home. 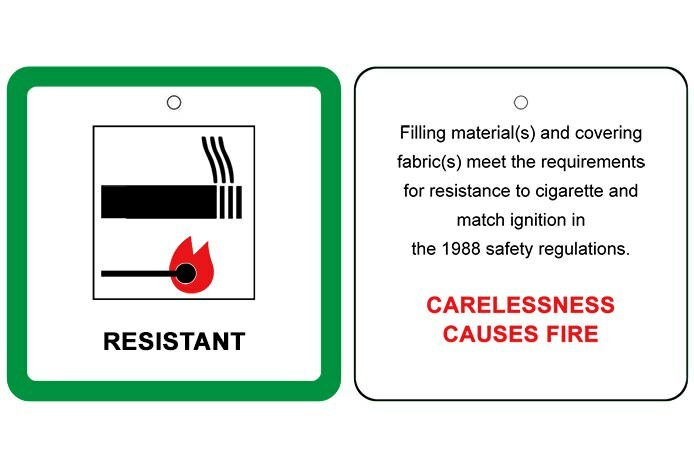 Shown below, the temporary label demonstrates that your new furniture is both cigarette and match resistant. Unfortunately, within the furniture industry, there has been an increase in non-compliance with regulations. Alarmingly, companies have been compromising on the fire retardancy of PU, PVC and faux leather material coverings, and only conforming to British standard foam regulations. This is both illegal and extremely dangerous to the safety of you, the customer, however unfortunately the problem is worryingly widespread. 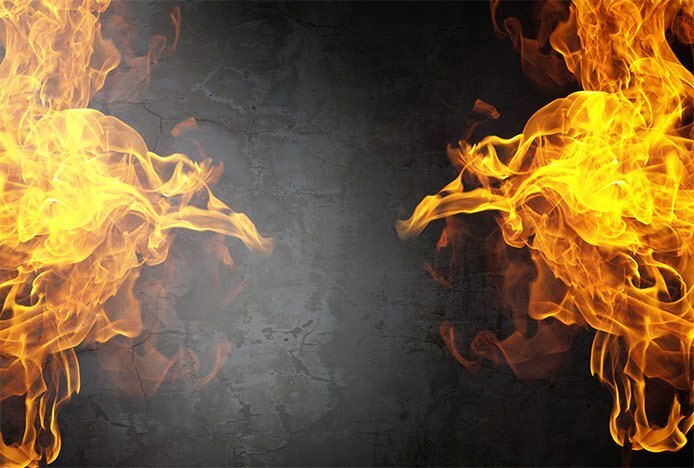 If you’re ever unsure, simply ask the company for a copy of their fire retardancy documents for their material coverings, to ensure both your own safety and peace of mind. This is a simple way to differentiate the reputable companies from the rogues! If you have any questions, or if you require any more information, you can call us on 0121 230 1644 or 0845 520 0000. Alternatively, you can email us, on sales@atlanticshopping.co.uk.